Our products provide support to animals with a variety of conditions. The benefits of full spectrum hemp oil include instilling calm, normal emotional balance and ease, supporting a healthy digestive tract and strong immune system, promoting healthy joints, flexibility and the body’s normal inflammatory response. Treatibles can help animals exhibiting anxiety, discomfort, loss of appetite, digestive tract issues, and more. Auntie D’s Apothecary has deep roots. In 2008 Auntie Dolores (Auntie D) was founded in San Francisco and became one of the first five medical cannabis companies in California. Auntie D established an apothecary and began creating a variety of cannabis products for people. As patients experienced relief from maladies and disorders, they began asking Auntie D, “Can I give cannabis to my pet?” Research showed that THC can be harmful to pets, so the seed was planted to find an alternative safe cannabis product. In 2011, Auntie D’s began cultivating CBD-rich hemp in Mendocino, California and created the Apothecary’s first line of CBD products for people. As the formula was perfected, Auntie D’s Apothecary began product development and testing of CBD products for pets. 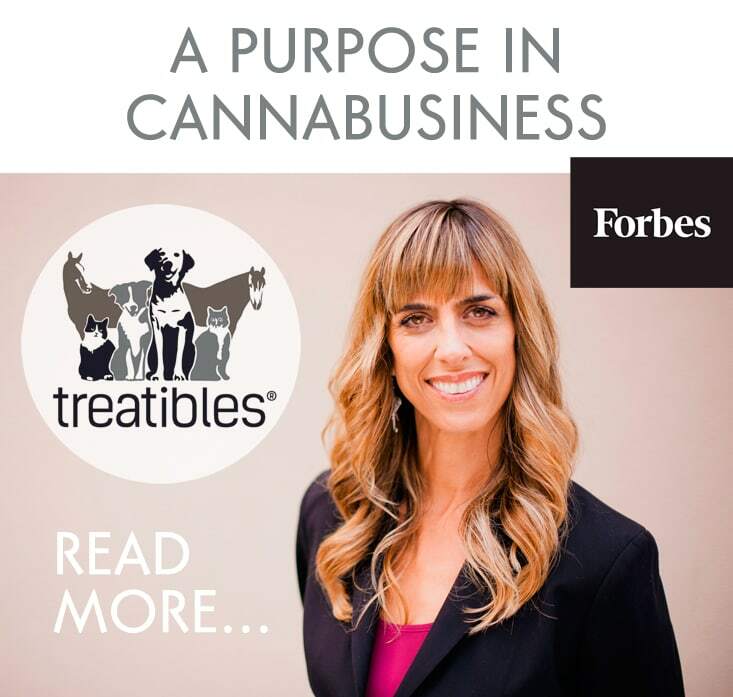 In 2013, Auntie D introduced Treatibles, becoming the pioneer in creating CBD products for pets. At first, Treatibles products were sold exclusively in California dispensaries. After the 2014 Farm Bill was passed allowing for hemp products to be sold across state lines, Auntie D’s Apothecary blazed the trail with the Treatibles line and quickly became the national leader in the hemp derived CBD products for pets space. Today the Auntie D’s Apothecary catalog of products for pets includes chews, oil dropper bottles and capsules. Be in the know: The name Auntie Dolores has a hidden meaning: The Spanish word dolor translates to pain. So, Auntie (anti) Dolores means anti-pain. Be the first to find out about news and updates from Treatibles! At Treatibles you can find full spectrum CBD pet treats and complete line of phytocannabinoid rich, organic hemp oil products for pets. Treatibles is the best quality source for CBD dog treats, CBD cat treats, CBD oils, and CBD capsules for dogs, cats, horses, and humans! Treatibles now offers CBD topical cream for pets.